Few economists have been as prolific and wide-ranging as Takashi Negishi. Part of the "Hicksian" generation of Neo-Walrasian general equilibrium theorists, Negishi rose to prominence during the early 1960s with his work on the Neo-Walrasian system. Negishi's signature has been his attempt to extend the multi-market Neo-Walrasian system in several directions to incorporate concerns such as imperfect comptetition, stability, money, trade and unemployment - and, as a consequence, helping to discover and delineate the limits of conventional theory. 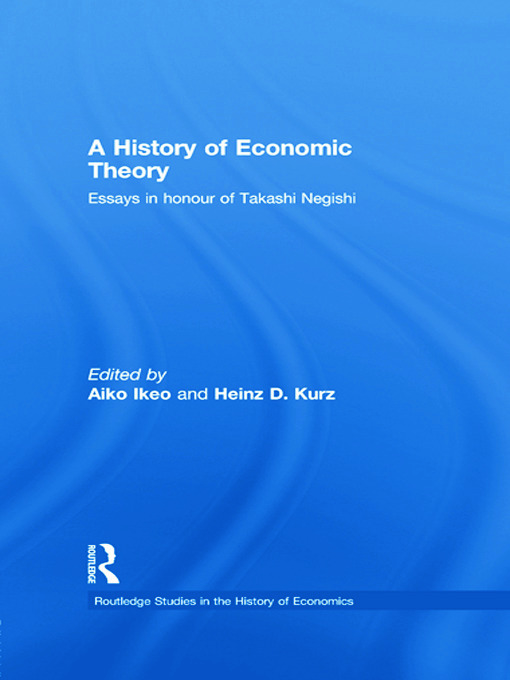 This collection in honour of Takashi Negishi analyses his contributions to the history of economic theory. Economists paying tribute within this volume include Neri Salvadori, Laurence Moss, and Joaquim Silvestre.